What is that? That is something delicious that’s what that is! 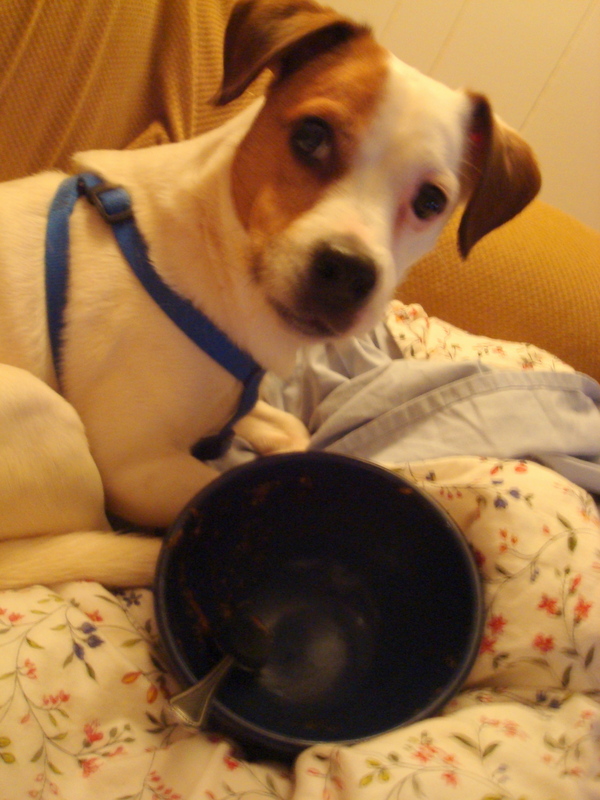 So what exactly is this bowl full of reddish meaty looking stew like stuff? It’s pork ragout with parmesan polenta done (you guessed it) my way. It was a quick last minute idea that became dinner and then lunch. It was surprisingly great. I was kind of nervous about the idea seeing as I had limited ingredients and I only had the chance to cruise a couple recipes before cooking. I was also nervous about the idea of throwing plain old cornmeal into a pot of warm liquid and it becoming creamy dreamy polenta. Hadn’t I always heard cooks talk about “quick cooking polenta” and the like? Either way I just went with it. The result was something that tasted like it had been in a pot for hours, in a good way. It was definitely stick to your ribs kind of stuff. The polenta was super quick and ultra creamy even though I only used a 1/3 of the milk (my carton was lower than I thought) I believed necessary from various recipes. 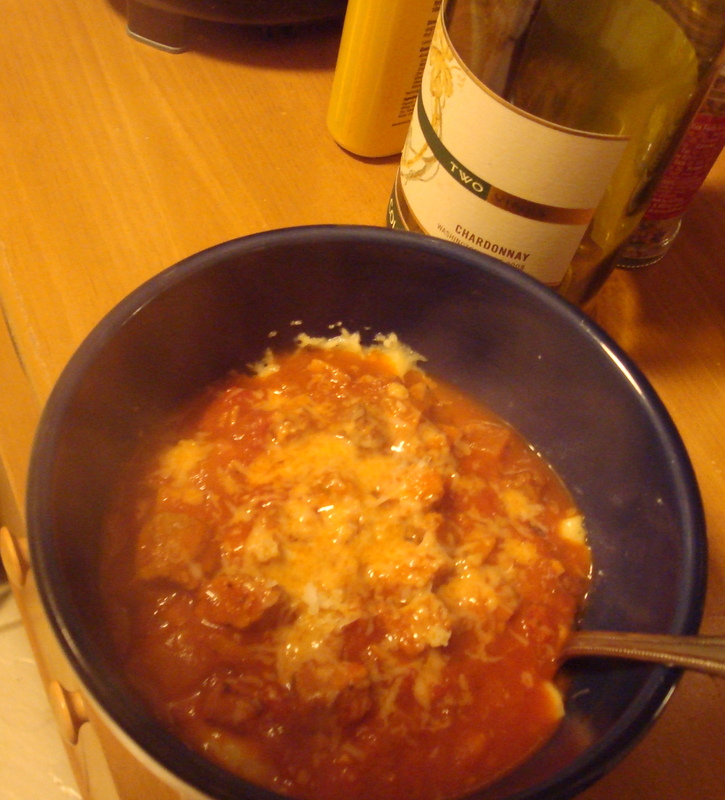 The sauce or as I am dubbing, ragout was tangy yet rich with the smokiness that only comes from bacon. Only thing the meal was really mising was some crunch, maybe it needed something like crisp bread but alas I had none. Seeing as this was such a quick throw together dinner I don’t have an exact recipe for you but read on for basic guidelines. -Rub pork with Italian seasoning blend. -Add olive oil and heat a medium sauce pot over med high until oil starts to ripple. -Add onions to the pan and toss then around with a spoon until all are coated with oil. 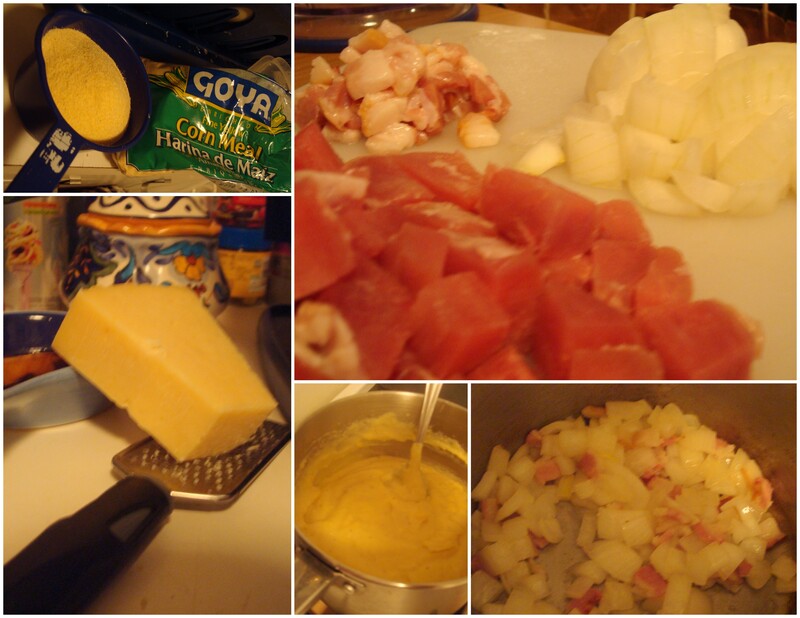 -Add bacon to onions and cook until both are almost cooked through. -Add “marinated” pork to pot and stir minimally until pork turns from pink on all sides. -Add wine to pan and allow it to cook off for a few minutes before adding marinara sauce. -Once sauce is in the pot grate garlic clove into pot (or add minced). This is also when you want to add the bouillon if you so desire. Again if you are not a lover of salt don’t add this. -Let sauce cook over med-low while you boil and make the polenta or about 30 minutes. -Bring milk, chicken, garlic stock to a boil. -Wisk boiling water as whisking carefully add cornmeal. -Continue to whisk as it thickens (happens pretty quick). -Turn off the burner then add grated parm, butter, and salt & pepper. 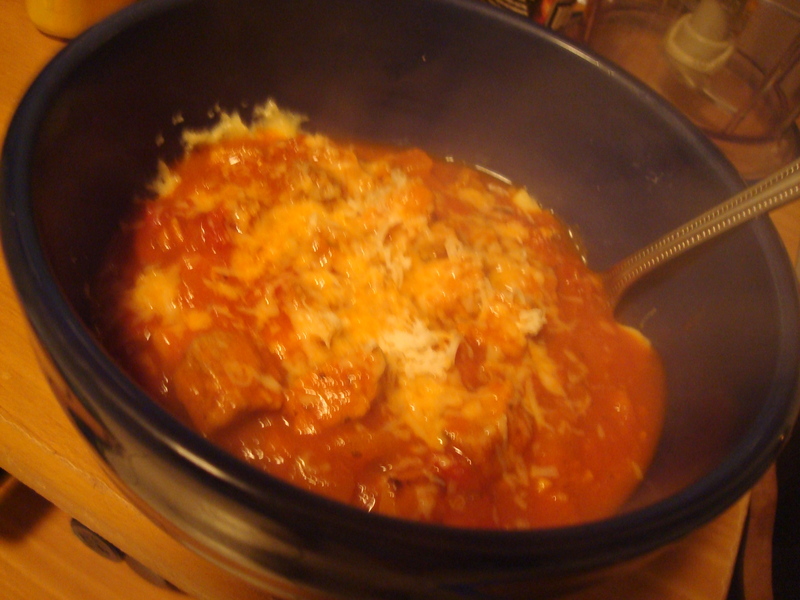 Now layer a bowl with polenta then ragout, top with some extra grated parm and enjoy. This entry was posted in People Food and tagged Cooking, italian, main dish, Pork, stick to your ribs by Angie. Bookmark the permalink.